Shhhhhh…. don’t tell anyone because if you do I just might be thrown out of the romance book community but until Furious Rush I was an SC Stephens virgin. Yeah I know. I’m not really sure how. And I can’t believe I just admitted it. I should have to hand in my blogger card. Anrdseriously it isn’t as if I don’t own the books… they are sitting there only kindle, in the massive pile of books on my TBR… just waiting and waiting. I have heard amazing things. And it is almost as if I am afraid that they can’t live up to everything I have heard. So I saw this and thought let’s o it. Let’s take the plunge. And YES! I am so glad! 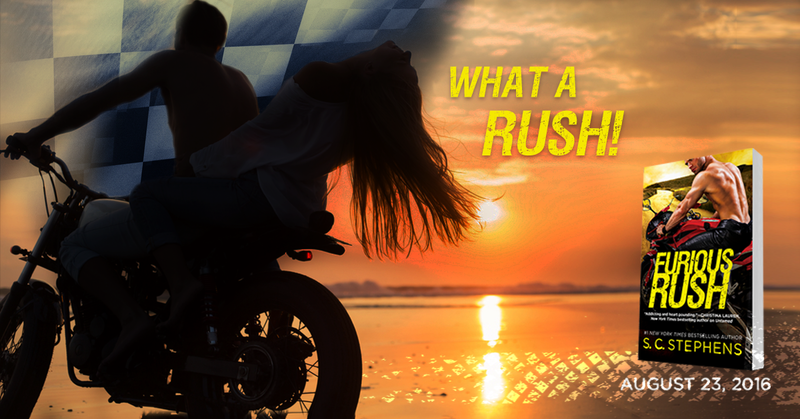 I love racing and motorcycles and this was like motorcycles meets Romeo and Juliet – what is not to love? Let’s start with the fact that Furious Rush is the first book in a trilogy that SC Stephens is starting. So I know the first question you are wondering is OH NO does that mean I am going to be lepton a huge cliffy? Am I going to left hanging and wondering? I would say no. You will be left with some unanswered questions. But you will be left satisfied and with a happily for now. But you will be left wanting more of Hayden and Kenzie. I absolutely love that we get a strong female heroine here. 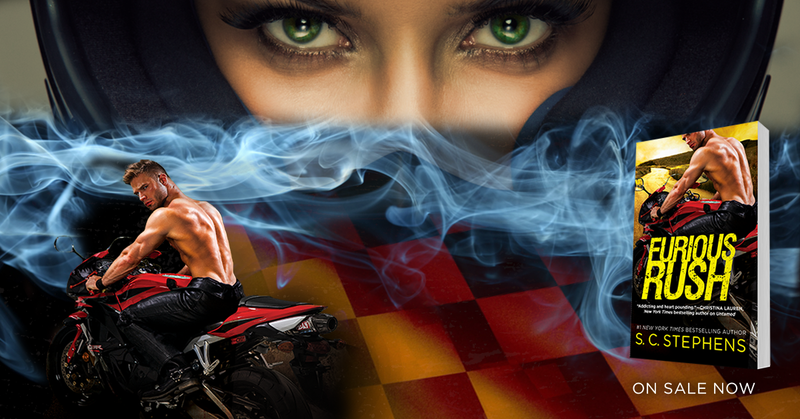 she is strong trying to save her family and she is a kickass, motorcycle racer! Not only that but she is at the top of the game! 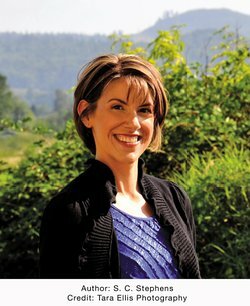 This is a woman to look up to! And she doesn’t have to give up an ounce of her femininity to do it. She can just own every inch of who she is. I love every bit of Kenzie. Kenzie is racing royalty. She was born into this world. Bred for it. Her father was a superstar and owns the team she has made. But the track.. that is co-owened. And the other team? That team they are enemies. They do not speak to each other. Severe punishment is inflicted if they do. As in termination. Only problem Hayden was just hired on the other team. And there is a weird connection between Kenzie and Hayden. The two seem to make each other better. And worse they can’t seem to stay away from each other. UH OH! Because whatever happens they can NOT get CAUGHT! I was swept up in the explosive chemistry between Kenzie and Hayden. I couldn’t wait to see what would happen between them. I was caught up in the mystery of what was happening on the track and was hoping that no one else was going get hurt and was praying that Hayden wasn’t caught up in the mess. The side story of the illegal street racing kept me only toes as I prayed they wouldn’t get caught and tossed from the professional sport! There was just so much going on! I can’t wait to get the next book and see what is in store for everyone! I absolutely adored this book and recommend it for anyone that loves sports romances and is looking for a rush of a racing book! I received a complimentary copy of Furious Rush in exchange for my honest review. Posted on August 23, 2016, in Release Blitz, Review and tagged Release Blitz, Review, SC Stephens. Bookmark the permalink. Leave a comment.